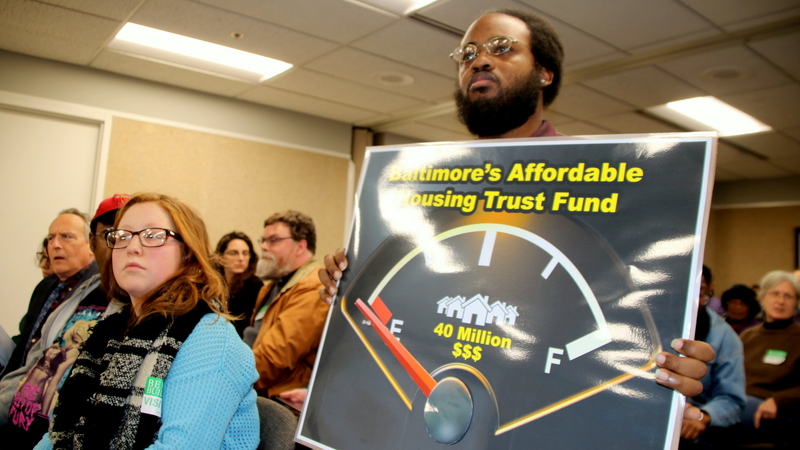 Saying they feel “betrayed” by Baltimore’s two top elected officials, several leaders of the Housing for All coalition say they will launch a charter amendment ballot petition to fund the so-far-penniless Affordable Housing Trust Fund. Members will kick off the drive Saturday to secure votes for an amendment to the city charter on the November ballot. The Trust Fund, overwhelmingly approved by voters in November 2016, has lain dormant without dedicated funds until today, when the Board of Estimates approved the shifting of $2 million to the program. 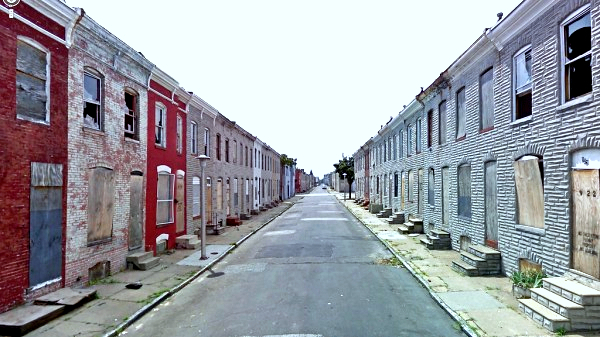 Campaigning for mayor in 2016, Mayor Catherine Pugh backed the coalition’s “20/20 Plan,” which calls for the city to float $20 million in bonds to build low-income housing and $20 million to “deconstruct” vacant houses in a way that would promote jobs and save recyclable material. As late as last Wednesday, Pugh said she supports affordable housing and wants developers who seek public subsidies, such as the $660 million in tax incentive (TIF) funding won by Kevin Plank’s Port Covington project, to offer at least 20% low-income housing. But her administration has not established a 12-person commission called for by the 2016 amendment to help the housing department set up the fund, despite various calls to Housing Commissioner Michael Braverman to do so. Today the mayor’s chief of operations, Peter Hammen, acting on her behalf, approved the allocation of $2 million in bond money from the New Affordable Housing Trust Fund to the Affordable Housing Trust Fund at the weekly BOE meeting. The allocation will be used as part of a future “non-lapsing fund to be used to promote fair housing in neighborhoods throughout Baltimore,” according to the board agenda. Today’s allocation did not specify any timeline for the use of the funds, nor any staffing and targeted projects. Some housing advocates remain furious that the mayor last week reallocated $21 million in surplus real estate taxes for overtime police expenses rather than using some or all of those funds to capitalize the housing fund. Then on Monday, City Council President Bernard C. “Jack” Young told coalition members that he still wants to create a task force to study the affordable housing issue. To some advocates, the task force idea was a red flag, signaling more delay and foot-dragging. At a happier time, back in April, Young and all 14 members of the City Council introduced a bill (18-0221) that would finance the Housing Trust Fund through an increase in transfer and recordation taxes. The coalition’s high hopes that the trust fund would be financed have given way to frustration that Young has not scheduled a committee hearing on the bill, the first step in getting legislation passed. “The city wants us to say, ‘we’re all in this together,’ but there’s been a lot of mixed signals and unclear support,” Greg Sawtell, a United Workers organizer, said today. Young’s spokesman, Lester Davis, insisted today that “there is no daylight” between the coalition’s aims and the Council president’s commitment. Matt Hill, a lawyer for the Public Justice Center who is a member of the Baltimore Housing Roundtable, told The Brew that, after conferring today with the Council President’s office, he was on board with the task force. “The Council President is fully supportive of the bill, expects to move it forward shortly, and there just appears to have been a miscommunication in [Monday’s] meeting,” Hill said this afternoon. Hill said a press release issued today by United Workers, which quoted him as saying that “another task force is no answer to record eviction rates and the demolition of public housing including the recent decision to bulldoze Gilmor Homes,” was not an accurate representation of his views. “There must have been a miscommunication surrounding that quote,” he said. The press release said that coalition members will kick off a drive on Saturday to secure votes for a charter amendment on the November ballot. The amendment will specify that 5 cents of every $100 in assessed city property be devoted to the Affordable Housing Trust Fund, which will bring in an estimated $20 million a year. Saturday’s canvassing is part of an effort “to channel the anger and frustration of residents who have waited in vain,” especially in low-income black neighborhoods, for investment by the city and private developers, according to the release. It is “one way our voices can be heard to break through the bureaucracy and entrenched special interests,” said Destiny Watford, a Curtis Bay resident who is working with the Greater Baybrook Community Land Trust. Roundtable members and volunteers expect to be fanning out from St. Vincent De Paul Church, started at 11 a.m. Saturday, to gather signatures at community events and the Gay Pride Festival. According to the coalition, a $20 million-a-year Trust Fund could create 4,120 new affordable housing units, rehab nearly 1,600 vacant properties, support six community land trusts, and employ over 8,000 construction workers over a 10-year period.